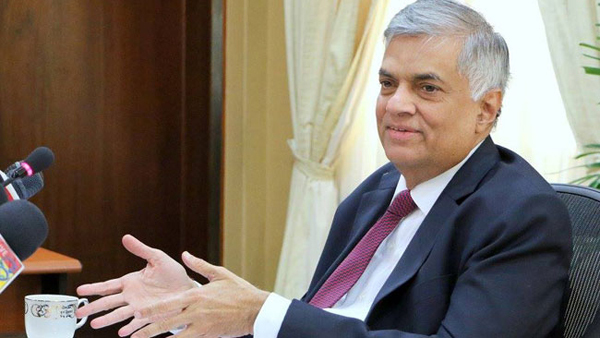 The Joint Opposition parliamentarians too will have to take the responsibility for the threat levelled by the protesters on Saturday along Parliament Road if the members were present at the site, Prime Minister Ranil Wickremesinghe said in Parliament yesterday. The Prime Minister said those who came said they would surround Parliament. He added that until that statement was made, it was a protest. “It was not by university students but by the municipal council chairmen, provincial council chairmen and others involved in thefts,” the Prime Minister said. At this stage Opposition and government MPs traded charges and the Speaker ordered Opposition member Vasudeva Nanayakkara to take his seat. He also instructed Minister Sujeewa Senasinghe to take his seat. “If those people say that they would surround Parliament it is a threat to Parliament,” the Prime Minister said. “At such a moment if there was a parliamentarian among protesters, he too is complicit. Prime Minister Wickremesinghe said Opposition members are trying to say that sil observers were attacked by water cannons. “But these were ‘Upasaka Balallu’ (wolves in sheep’s clothing). They are those who are skilled in burning tyres and attacking vehicles. One chairman had raped 100 women, another had raped a foreign woman in Tangalla and killed her husband. So are we not afraid? At such a moment, Police act,” he said. Prime Minister Wickremesinghe said this should not be repeated. “We have told Police to allow the people to protest. The two groups could stage the protest on either side, but leave a little space for us to travel. The other matter is that as the road is being renovated, the ordinary people are trapped due to a traffic jam,” he said. Raising a privilege issue, Joint Opposition member Dinesh Gunawardena said the privileges of Parliamentarians to move freely and their protection have been secured by the Act. He added that last Saturday that privilege was breached. At this stage UNP MP Nalin Bandara Jayamaha said Gunawardena was not stopped going out of Parliament but he was stopped by Police while on his way to Parliament. “There was a large number of thugs, and I suggest that if we could lead them to the Parliament grounds we would have been able to trim it easily,” Jayamaha said. These are all MR's & JO's thugs resorting to violence to come to power. Police should have used more power to get the rascles out of the roads so that MPs can do their job.